We are provide you 5 Star Hotels In Ahmedabad. Day 01 : Arrive Ahmedabad. Check into the hotel, freshen up, After breakfast leave Gandhi-Nagar, en-route visit Hathee-Singh Jain, Temple, Calico Museum, Gandhi Ashram & later drive down to Askshardham Temple. Visit Ashardham Temple enjoy the Pradarshani at Akshar Hall. Later in evening enjoy the Laser & water show in Akshardham premises which is unique in the world & back to hotel in late evening. Overnight stay in Ahmedabad. Day 02 : Early morning after breakfast proceed for Ambajee .It is 3 to 4 hrs journey. 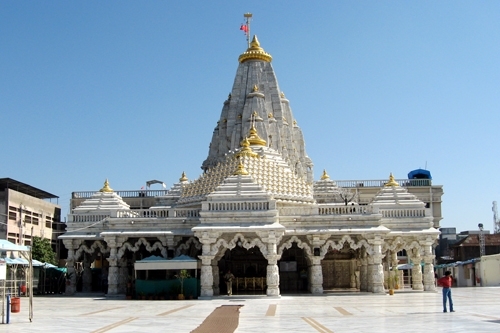 Visit Ambajee temple, Old temple which is on hill by rope ways & back to Ahmedabad in evening. If u feel so then go to Kankaria lake & back to hotel. Overnight stay in Ahmedabad. Day -03 : After morning breakfast proceed for either airport or railway station back to home.